The Pearl Rhythm Traveler Drum Set, with Cymbal-set sets up and tears down fast. Practise anytime without disturbing people in the next room, and then carry the same kit neatly stacked in the passengers seat of your car to do a live gig! 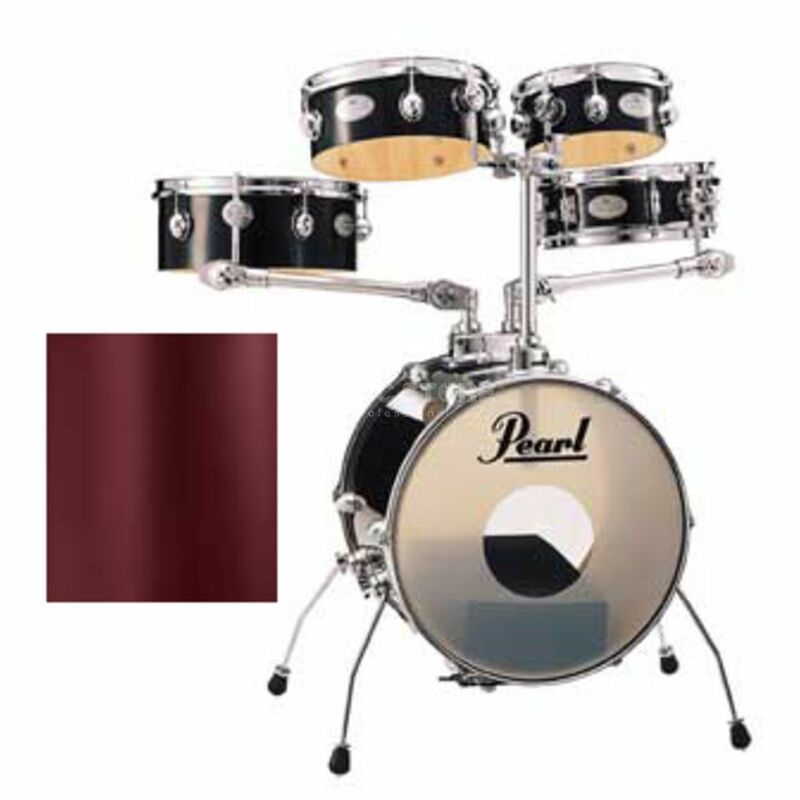 The 9 ply mahogany shells are made using Pearl's Heat Compression Shell Molding System, the same process used for all Pearl Drums. Features: 1x double tom holder 2x tom holder !!! 3 years Music Store warranty !!! Size tom 1: 8" x 3.5"
Size tom 2: 10" x 4"
Size tom 3: 12" x 5"
Snare size: 10" x 4"
Size bassdrum: 16" x 14"
I was looking for a small drum to play in small clubs. Ive been playing folk and traditional music so I was looking for an acoustic drum that could fit live performances having all the rest of the band in acoustic set, This is exactly the good choice. You cna close all the set into the bass drum and easily carry it. Playing sensation is brilliant. Workmanship is very good. But the best thing at all is the sound!!!!! This drums has a wonderful sound for any kind of music! I definitely love it!